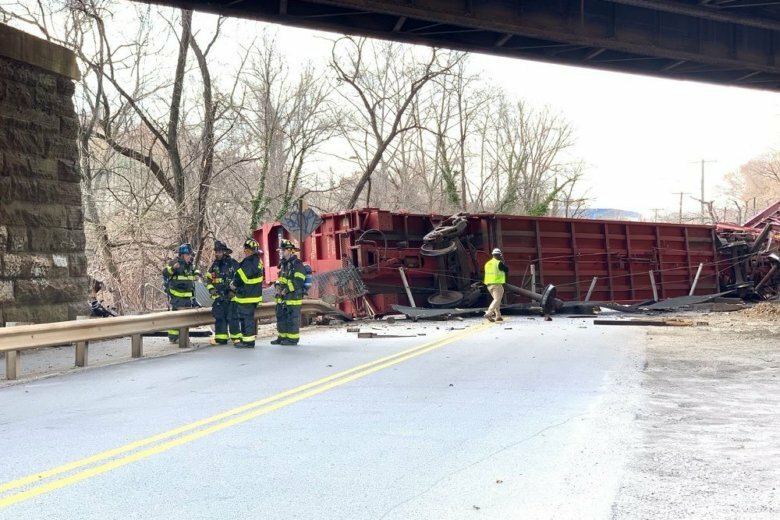 No one was injured after several train cars derailed in Baltimore, Maryland, on Friday. 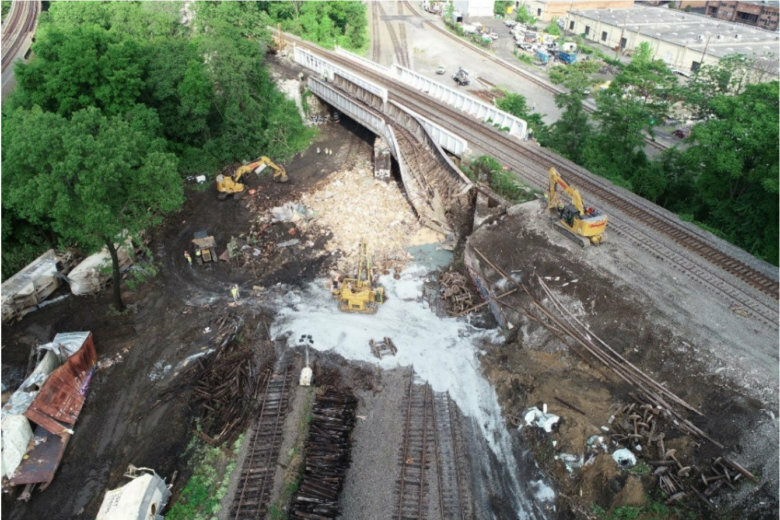 See photos of the derailment. 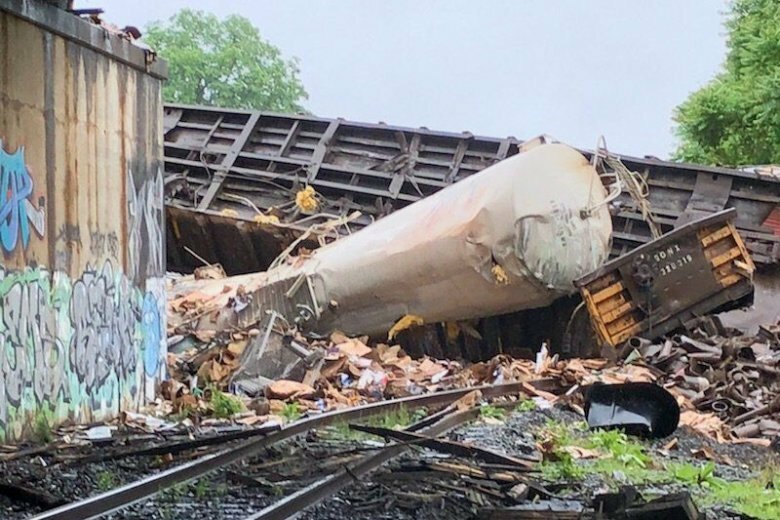 Last month’s CSX derailment, which sent freight cars plunging off a bridge in Alexandria onto another track, appears to have been caused by heavy rains washing out the rocks supporting the track, a preliminary National Transportation Safety Board report suggests. 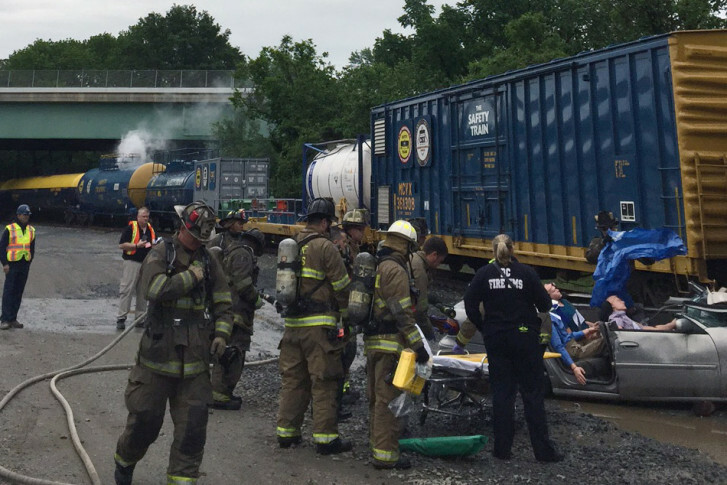 More than two weeks after a CSX train derailed near the Rhode Island Avenue Metro station and spilled a hazardous chemical, the railroad and numerous other agencies held an emergency response drill for a similar, but even more serious, event. Trains are “very unlikely” to operate past Silver Spring, MARC officials said in an email.